Can you believe that February is almost over? 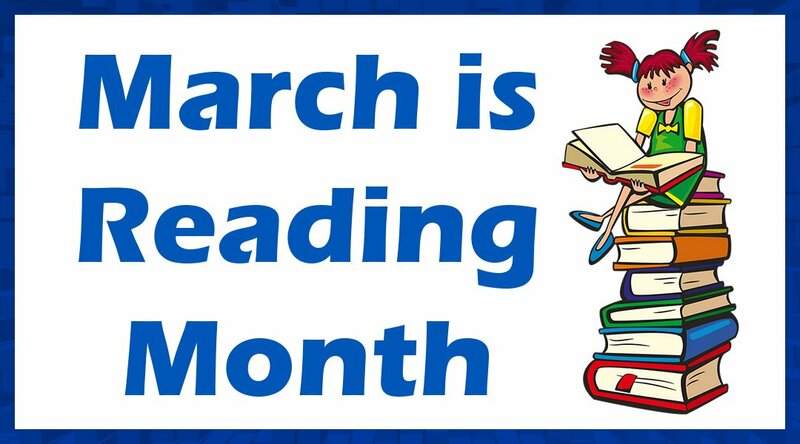 As we prepare for March, we are looking forward to READING MONTH. This year our theme will be OCEANS! You may have noticed that some of the classroom doors are getting a makeover in preparation for March is Reading Month. Stay tuned for more information about reading events, contests and fun! Oakman students, it’s time to nominate your AWESOME TEACHERS for the Alberta Muirhead Teacher of the Year Students’ Choice Award! Say THANK YOU to your teachers and show them how much you appreciate their hard work and dedication! Oakman parents, you can help your child by submitting the attached form. Complete this together and plan to attend the ceremony on Thursday, April 25, 2019, 4:15 p.m to congratulate your teacher in person. The Ecology Club is supporting the removal of trash from the oceans through the work of the 4 Oceans company. By purchasing a bracelet made of 100% recycled items, they will remove of 1 pound of trash from the ocean and coastlines. Our goal is to raise 100 dollars per class which would take 60 pounds of trash from the ocean. For every 20 dollars your class raises, 1 bracelet will be purchased and then raffled off in the classroom. Can you help us do it? Become an activist for the environment. We are asking you to return refundable cans or bottles from home to a nearby store. Did you know that every 10 cans or bottles you return to the store makes 1 dollar that can be donated towards this cause? That money will help us reach our goal. We will be collecting money through the month of February. Please recycle your cans and bottles at home and donate that money. Your donations will help clean our oceans! Welcome Back! We hope you all enjoyed the mid-winter break. Today was President’s Day. On this day, we celebrate George Washington’s birthday and we honor all the past presidents of the United States. Did you hear about a previous Oakman student who just signed a letter of intent for Edinboro University? Rana is a senior at Fordson this year, who broke a Fordson career scoring record of 1152 points. Oakman extends its congratulations to Rana and wishes her continued success. WIDA testing continues this week. Wednesday: Morning and after school tutoring. Thursday: Morning and after school tutoring. The district is offering Parent University sessions at six Dearborn schools. These informative sessions will begin February 22nd and run six consecutive Fridays until March 29th. Below is the schedule of dates and the topics to be covered.